Maine lobstermen have happened upon a bonanza along their rugged, picturesque coast. For the past five years, the lobster population along the coast of Maine has boomed, resulting in a lobster harvest six times the size of the record catch from the 1980s—an event unheard of in fisheries. In a detective story, scientists and fishermen explore various theories for the glut. Leading contenders are a sudden lack of predators and a recent wedge of warming waters, which may disrupt the reproductive cycle, a consequence of climate change. Christopher White's The Last Lobster follows three lobster captains—Frank, Jason, and Julie (one the few female skippers in Maine)—as they haul and set thousands of traps. Unexpectedly, boom may turn to bust, as the captains must fight a warming ocean, volatile prices, and rough weather to keep their livelihood afloat. The three captains work longer hours, trying to make up in volume what they lack in price. As a result, there are 3 million lobster traps on the bottom of the Gulf of Maine, while Frank, Jason, and others call for a reduction of traps. This may in boost prices. The Maine lobstering towns are among the first American communities to confront global warming, and the survival of the Maine Coast depends upon their efforts. It may be an uphill battle to create a sustainable catch as high temperatures are already displacing lobsters northward toward Canadian waters—out of reach of American fishermen. The last lobster may be just ahead. 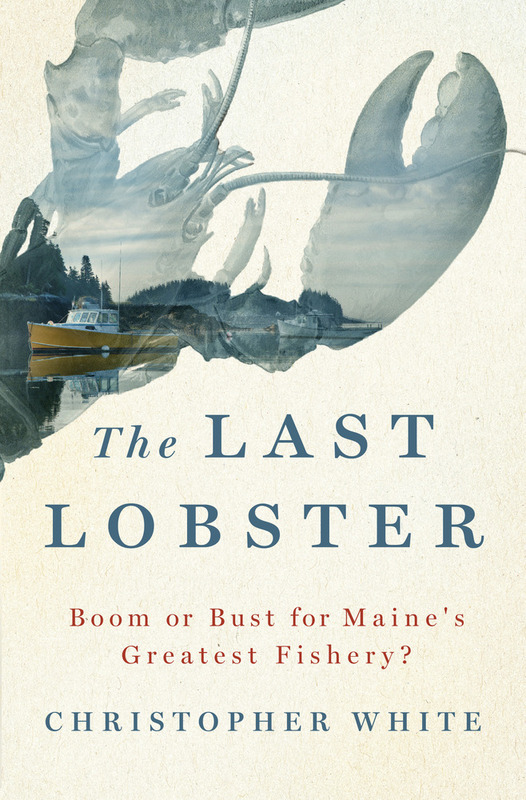 "Just as in Skipjack, where Christopher White wrote so lyrically about water and the men and women who work on it, this is a beautiful and important story, one testifying not only to the remarkable skills and well-earned apprehensions of Maine lobstermen, but to the soul-filling beauty of their world." —Richard Adams Carey, author of Against the Tide: The Fate of New England Fishermen and Philosopher Fish: Sturgeon, Caviar, and the Geography of Desire. Christopher White has written numerous books, including Skipjack: The Story of America’s Last Sailing Oystermen and The Melting World: A Journey Across America’s Vanishing Glaciers. His articles have appeared in Audubon, The Baltimore Sun, The New Mexican, National Geographic, and Exploration. He grew up on the shores of the Chesapeake Bay.